A charming property which will make sure that you have a pleasant stay. 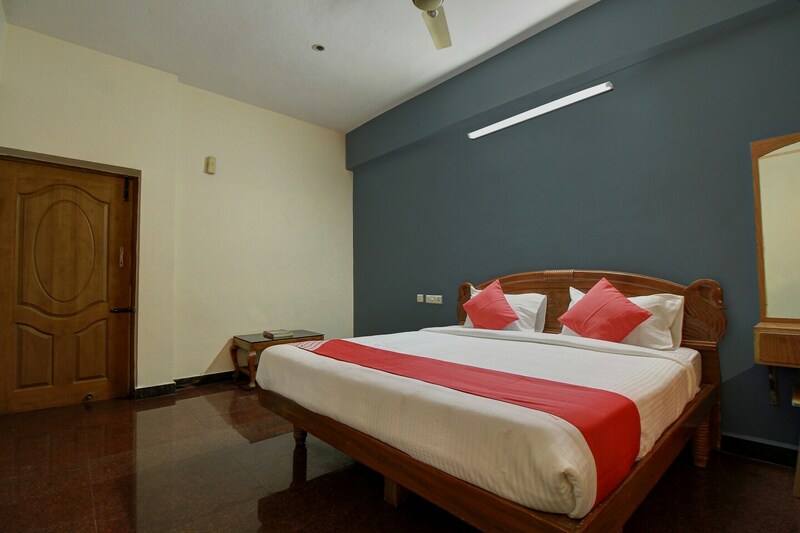 PKN Residency is a wonderful hotel which will make sure that all of your needs are met at a pocket-friendly price. The reception is nice with use of woodwork along the walls and on the reception desk. The rooms are beautiful and elegant with classy colours painted on walls and the bright cushions enhance the appeal of these rooms. The rooms are fully furnished with all essential amenities that are well-suited to all kinds of travelers. They are super clean, very spacious and luminous. The bathrooms are also neat and clean and well-equipped with amenities along with a geyser for when the weather gets chilly. The hotel also provides many other facilities like parking facility, free Wi-Fi and CCTV cameras.